Welcome to part 2 of the my exploration of very low carb diets for endurance athletes. My last article provided the basis for understanding this article as it explored how and when our body choses to use fat vs. carbs. Check it out here. In this article, I will now explore (1) do low carb diets actually enhance fat metabolism and (2) does that actually makes us faster. Does VLCD increase fat burning capacity? Short answer, yes, the body is forced to increase fat use to support the energy needs during exercise. Research clearly shows that after adapting to a keto diet for as little as 3 weeks results in significantly elevated rates of fat oxidation (0.6g/min to 1.5g/min) during exercise. Fat oxidation at moderate intensities (65% VO2max) in elite ultra-endurance athletes on a keto diet contributed 88% of the fuel for exercise verses 56% in athletes consuming high carbohydrate diets. Now, if we remember what we discussed in the last article, we learned that as we increase intensity we increase the amount of carbohydrates burned. This begs the question “will those high fat oxidation rates continue at intense ecercise (80% VO2max)?”. Another study investigated the fuel usage of elite race walkers at 80% VO2max, and they too found that fat oxidation was elevated to the same levels as previous research (1.5g/min). The more important question in my mind (and likely yours as well) is “well that is fine and dandy- my body will burn more fat, but what will happen to my performance?!”. 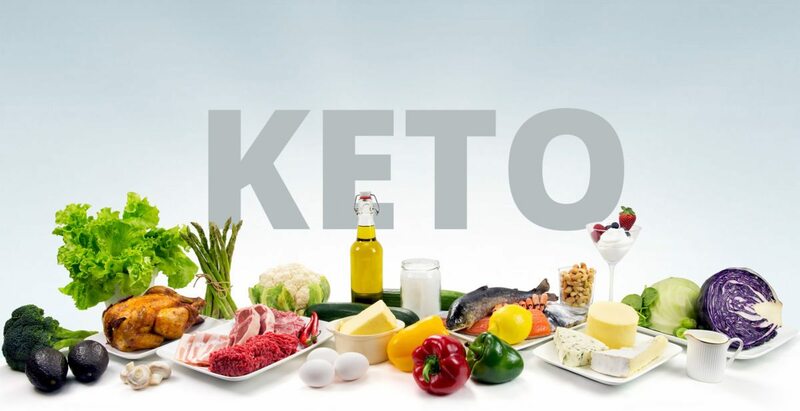 We will review some key research studies that have looked at fat adaption diets (high fat diets for 3-7days), keto diets and their effect on performance. The majority of high fat diet adaptation and keto diets find that performance decreased and a handful found they had no-statistically significant effect. Only two articles find a performance benefit. Louise Burke et al. (2017) conducted a large study investigating the effects of a keto diet, chronically high carbohydrate diet or periodised carbohydrate diet on race performance of elite race walkers after a 3 week intervention and training camp. Athletes on the keto diet perceived the training to be significantly more difficult and experienced an inability to complete the exercise training sessions planned. This is a very important point because if an athlete cannot train as hard as they could they won’t see much improvement in their sport. After the 3 weeks of intense training, the keto group had higher fat oxidation compared to the two high carbohydrate groups. All groups had significant increases in their maximal oxygen uptake (VO2max) as a result of the training. As we discussed in the previous article, burning fat is less efficient and this study clearly demonstrated that at all competition race speeds there was significantly more oxygen used in the keto group and there was no change in the fraction of VO2max at various speeds. The high carbohydrate and periodised carbohydrate groups used less oxygen and were able to keep the same pace at lower fraction of VO2max. In plain English, the two carbohydrate groups improved their running economy and efficiency with the training where the keto group did not reap the benefits of the training because the cost of burning fat is so high. Lastly, this study compared pre and post training performance walk times in a real 10km race. 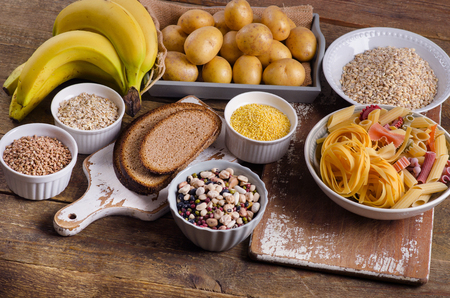 They found that both carbohydrate groups had a reduction in their time by 5-6% (on average 190s and 124s faster for high carbohydrate and periodised carbohydrate group). There was no improvement in the keto group and on average their times were 23s slower. There was a wide variability in performance for the keto group, ranging from 162s faster to 208s slower, meaning that keto worked for some individuals but not others. What if we don’t go into ketosis and we use a fat adaptation strategy + carbohydrate load, best of both worlds right? Havemann et al. (2006) showed that when elite cyclists consumed a high fat diet (68%) for 6 days with 1 day of carbohydrate loading that there was no significant difference in time to complete a 100km simulated bike race compared to a traditional high carbohydrate diet. However, if we look at the time to completion, we find that the high carbohydrate trial was completed on average 3 minutes 44 seconds faster (likely significant in the real world), leading us to believe that on average high carbohydrate diet may be superior to high fat diets. 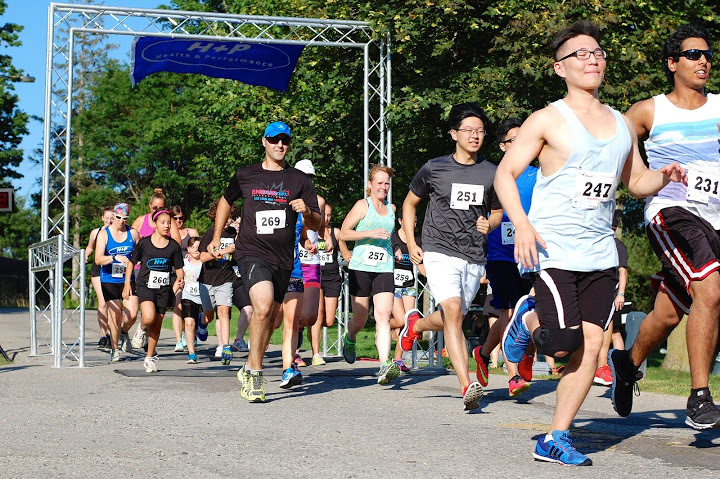 Again, 3 out of 8 racers on the high fat diet did improve their time compared to high carbohydrate diet, demonstrating that there may be some athletes who may respond well to a high fat diet. More importantly, this research included 1km sprints throughout the ride to simulate a race like situation and found that the power output was significantly lower in the high fat diet group which lead to slower sprint times. Despite having lower power output in the high fat trial, they perceived they were working as hard as they were in the high carbohydrate trial. There was no difference in muscle recruitment during the sprints, meaning the high fat trial worked just as hard as the carbohydrate trial but did not achieve the same results in the sprint performance. The researchers thought that the high fat diet + a carbohydrate loading period would result in glycogen sparing due to increased reliance on fat for fuel, thus improving sprint times as sprinting relies on glucose to provide fuel. This was not the case and it is possible that high fat/fat adaptation diets reduce the ability to effectively burn carbohydrates. In my final article in this series, I will explore the roll of supplements, the keto diet, and how that relates to athletic performance. Volek JS, Noakes T, Phinney SD. Rethinking fat as a fuel for endurance exercise. Eur J Sport Sci. 2015;15(1):13- 20. Volek JS, Freidenreich DJ, Saenz C, Kunces LJ, Creighton BC, Bartley JM, Davitt PM, Munoz CX, Anderson JM, Maresh CM, Lee EC, Schuenke MD, Aerni G, Kraemer WJ, Phinney SD. Metabolic Characteristics of keto-adapted ultra –endurance runners. Metabolism. 2016;65(3):100-10. Burke LM, Ross ML, Garvican-Lewis LA, Welvaert M, Heikura IA, Forbes SG, Mirtschin JG, Cato LE, Strobel N, Sharma AP, Hawley JA. Low carbohydrate, high fat diet impairs exercise economy and negates the performance benefit from intensified training in elite race walkers. J. Physiol. 2017;595(9):2785-2807. Havemann L, West SJ, Goedecke JH, Macdonald IA, Gobson ASC, Noakes TD, Lambert EV. Fat adaptation followed by carbohydrate loading compromises high intensity sprint performance. J. Appl. Physiol. 2006;100: 194-202. Leckey JJ, Ross ML, Quod M, Hawley JA, Burke LM. Ketone diester ingestion impairs time-trial performance in professional cyclists. Front. Physiol. 2017;8(806).